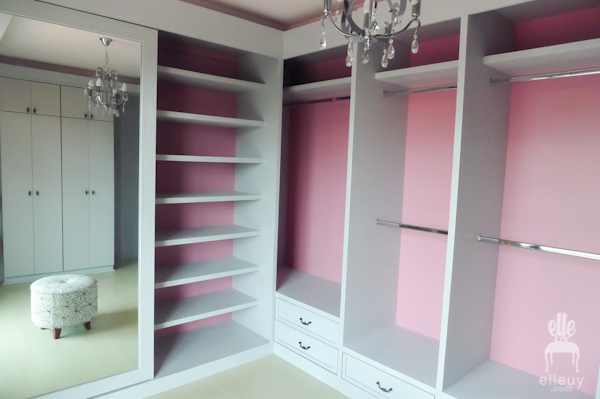 If any girl says she doesn't want a walk-in closet, there's a good chance she's lying. Some may not need it, but it's fun to have one entire room dedicated to clothes, shoes, fashion. If you can have one, then go spruce it up. Like this project I did. 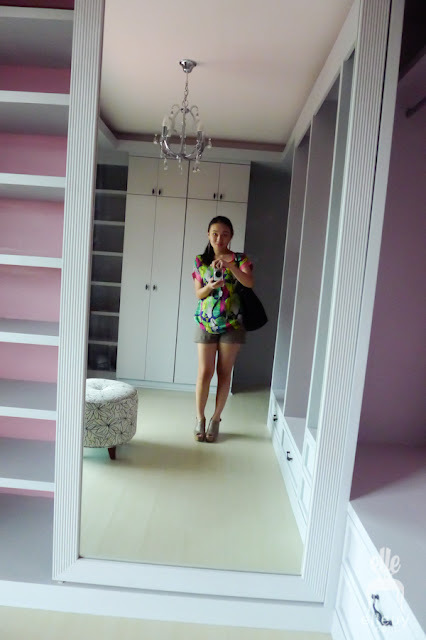 It's a nice size spare bedroom turned walk-in closet. 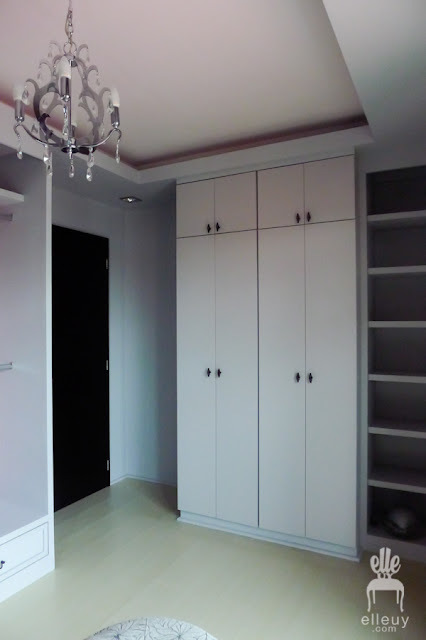 But since it's originally a bedroom, there's only one built-in cabinet and not much other storage space. Most of her shoes and clothes are on racks. 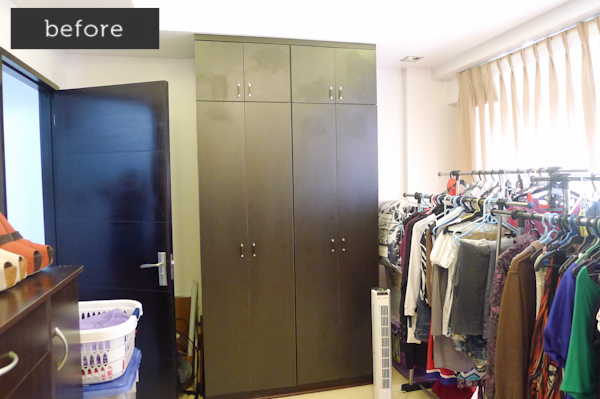 We maximized the storage by filling two blank walls with storage. Shelves, hanging rods, and drawers. Gray everything with the backing painted pink. With everything in place, there'll just be hints of pink which will be perfect. We kept the existing cabinets and just painted it gray to tie in to the new look of the room. We filled every nooks and crannies with shelves, like the one on the right in the photo below. No wasted space. 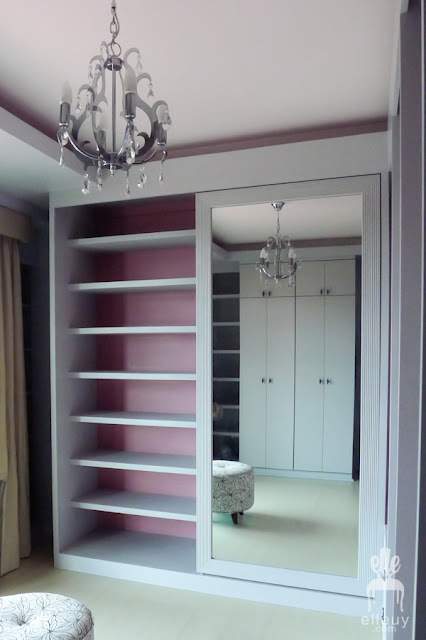 All walk-in closets need giant mirrors, but we can't afford to lose valuable space by doing the typical free-standing, or leaning mirror, so we mounted one to a sliding door. She wanted to display her shoes so instead of totally closing off the shelves, we just did just one door to slide left or right depending on which side she wanted out in the open. Hello there! hahaha.. My version of the mirror pose. 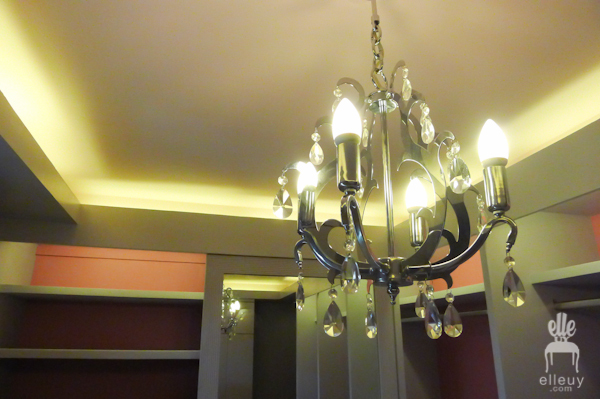 And this cute little chandy from, no other than CW Home Depot (Ortigas). Love the cutout detail, chic but modern. Will totally go back for the proper after pictures. I'll probably drool over all the shoes and dress, but I can handle it. Funny to find this post now... For the last few days, while looking at my growing pile of shoes, I've been thinking how nice it would be to have a walk-in wardrobe :-).